Today amid all the information pouring out to individuals via billboards, radio ads, TV ads, and the Internet what is the right information to follow? Below is a simple list of mortgage credit Do’s and Don’ts by Vic Melillo, a 25+yr Credit Master at Universal Credit Services. My credit expert! DO Keep low active balances on several revolving accounts. You need activity to maintain credit scores Don’t Miss a payment to any creditor. If you do make it the last. DO Make timely payments to all creditors. Don’t Pay all accounts to zero or close any accounts. You must maintain active revolving credit card accounts. 3-5 is the suggested for strongest scores. 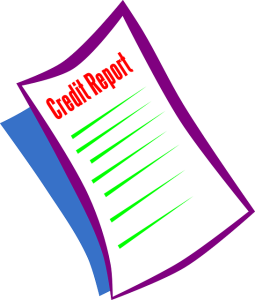 DO Check your credit and mortgage credit score 1-2 times a year. Don’t Deplete savings to pay accounts. Money in the bank could be more important. DO Seek a mortgage professionals advise when looking to review your credit. There are actions which can help and those which may hurt. Don’t Open new accounts to take advantage of store discounts. Only open accounts if advised there is a lack of proving credit. DO Call creditors directly if you have a discrepancy on account reporting status or simply do not recognize the account. Don’t Frivolously dispute accounts with the credit bureaus. Do Ensure a creditor agrees to any requested account update or removal. Obtain a letter of evidence from the creditor. Then update with the 3 credit bureaus. Don’t Engage in credit repair, credit counseling or debt management. All can do more harm than good.